Watch San Diego high school girls as they get the opportunity to learn about careers in construction through Camp NAWIC 2016, a hands-on free summer day camp hosted by the San Diego Chapter of the National Association of Women in Construction. Camp NAWIC celebrated its ninth year of camp at the Kearny High School of Engineering, Innovation and Design in San Diego. Camp NAWIC was created as a community outreach project to kindle interest among high school age girls in pursuing careers in the construction industry, where women are still vastly under represented. Camp activities and projects are designed to challenge the students to discover the many opportunities available. Girls learn teamwork and trade skills. Instructors and camp mentors are all construction professionals. 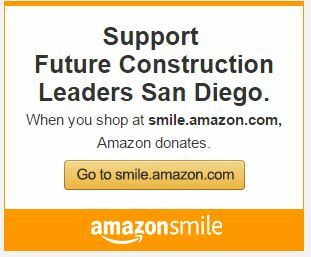 Future Construction Leaders Foundation thanks Sandra Cree of Creeations Photography for contributing her time and talent to this video. Camp NAWIC 2016 covered on KPBS "Evening Edition"